Collop Monday is the two days before Ash Wednesday, which is when Lent begins. It is a day when slices of meat are served. Meat was not allowed during Lent, so people wanted to use it all up before Lent began. 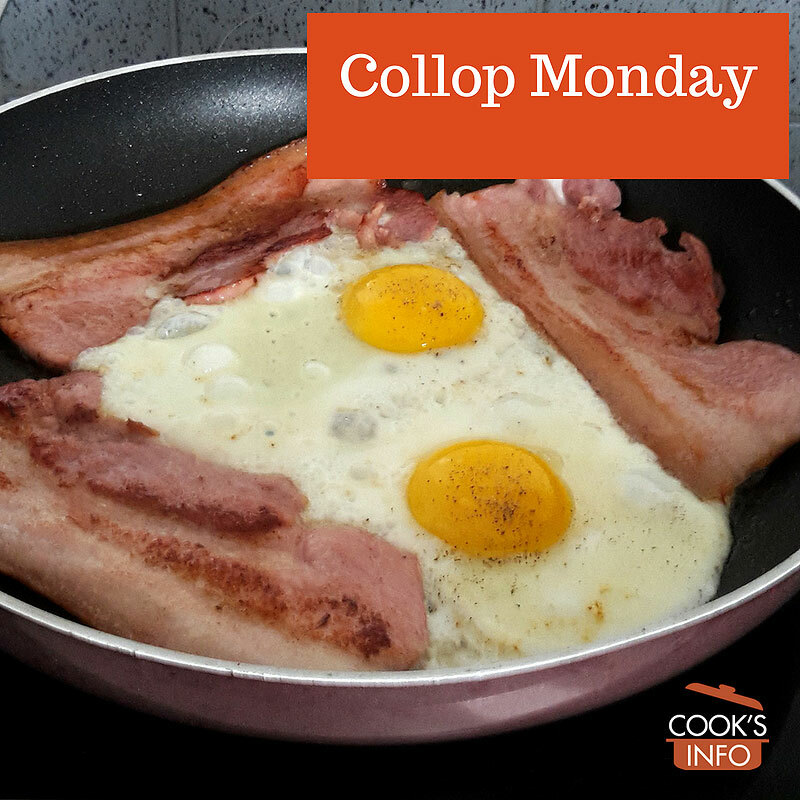 Consequently, breakfast on Collop Monday often consists of eggs served with collops of meat, which are somewhat thick slices of meat. Typically, the meat is bacon (English-style) that is pan-fried and served with a fried egg on top. In Germany, it is called “Rosenmontag” (“Rose Monday”) and parades are held. In Cornwall, England, it is called “Peasen Monday.” Pea Soup is served. Collop comes from a Norse word, meaning a “slice of meat”.